The mobile payment service will be accepted at a range of retailers in the country — including 7-Eleven, Fusion, Fortress, Pizza Hut, Starbucks and McDonald’s — as well as in-app with retailers including Food Panda, Cathay Pacific and Deliveroo. It will be available on iPhone 6S, iPhone 6S Plus, iPhone 6, iPhone 6 Plus and iPhone OS for both in-store and in-app payments. Consumers in Hong Kong will also be able to make in-store payments using Apple Watch and in-app payments using iPad Pro, iPad Air 2, iPad mini 4 and iPad mini 3 devices. 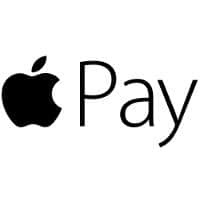 The company announced its plans to launch Apple Pay in Switzerland, France and Hong Kong at WWDC in June 2016. The service will also be made available for online payments. It launched in Switzerland earlier this month and in France earlier this week.